Snorkeling | 7 tips before diving into the crystal clear water! Snorkeling is ideal for those who love the sea and want to explore the beautiful seabed. It’s the simplest form of diving, also suitable for young children and does not require much experience or too much training to learn it. Below we provide some useful tips on what to buy and how to prepare yourself before you start exploring the deep water. Find out how to live this exciting experience without being at risk. The Snorkeling equipment, it does not necessarily have to be very much expensive or way too cheap. What is more important is its quality. You have to feel comfortable when you swim wearing it. It is preferable to choose an adjustable mask that covers your nose and before you do anything, check if water – air can get inside. Most of the masks have a silicone coating that prevents water from entering into them. Also, a scratch-resistant glass with broad peripheral vision and UV protection would be the perfect option. Depending on the water temperature, you may need a uniform. There are simple and isothermal uniforms that will keep you warm, and you will enjoy the exploration longer. Finally, complete the set with fins. You will be able to explore even more in-depth and in a more relaxed way. Just be careful to be the ideal size with your feet, because it will be unpleasant to lose them during your dive. It is essential that the snorkel is simple and light. It usually a tube with valves for more safety. It will help you breathe, with your head underwater. 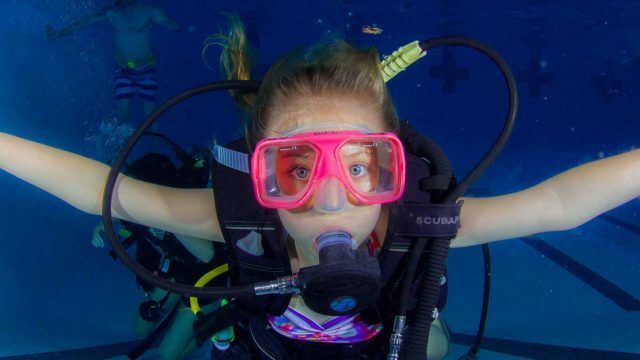 It is best to take a snorkel with a soft mouthpiece to avoid pain later and with a wide tube for ease of breathing. Before diving, make sure you put a sunscreen, as the UV rays of the sun, exist even under the water. You can wear a safety vest in vivid colour to be visible to the boats. You can also spray your mask with a no blur spray before you enter the water. You can also take your things with you instead of leaving them on the beach. Waterproof and airtight bags will help you to have your items under the sea safely. If you want to snorkel, choose a beach without many waves, with fish and crystal waters, it’s perfect. The beach will help you control how deep you want to go into the sea. You can make a good start by going to a beach, that is popular for its diving and watch lessons or follow the instructions from an experienced trainer. Before you start Snorkeling, experiment first with your equipment on a shallow, calm and safe beach. Check and make sure that water can not get inside your mask. Learn to Breathe Properly by Breathing Exercises. Get the ability to hold your breath under the water and breathe over that. This exercise will give you more experience and will help you have more confidence in yourself to make longer trips. It is especially important to check out the sea currents, tides and the best shores and coasts of the area. A mild current could drift you and completely change your way; as a result, to get lost. Always remember your drowning point and keep several signs, in your mind to avoid disorientation. Τell someone before, about your location and that you will do snorkeling. 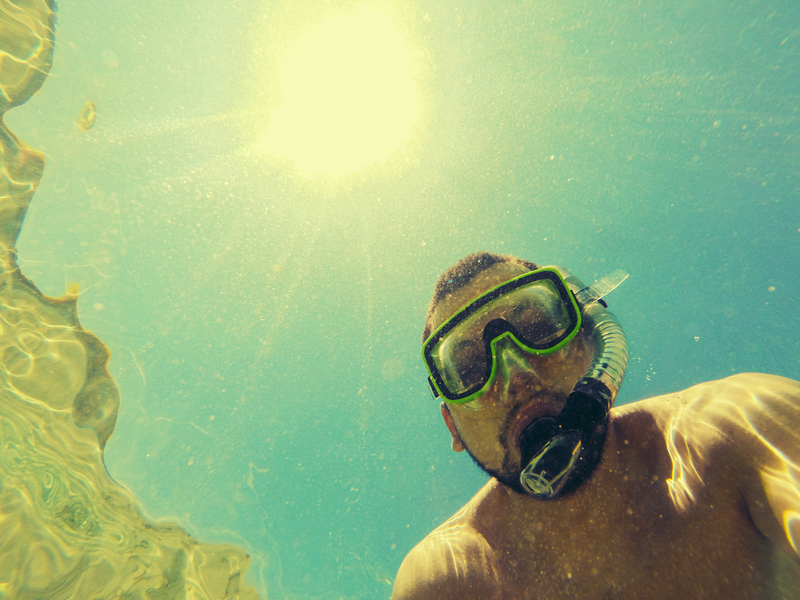 Have fun and do Snorkeling as much as you can. Harmonize yourself with the seabed and its life. Play and discover treasures, underwater landscapes and fish. Snorkeling is a great way to combine sports and holidays. At the ScubAndros diving centre, we provide snorkeling tours. You will find all the necessary equipment you need to buy or rent. Our diving centre is located on the premises of hotel Perrakis on the beautiful beach of Kypri in Andros. Contact us, to plan a unique exploration trip together with your holidays. Stay at Perrakis Hotel, and you will have a 10% discount on all ScubAndros benefits and our PADI programs. You can also rent all the snorkeling equipment for only 10 € / day.